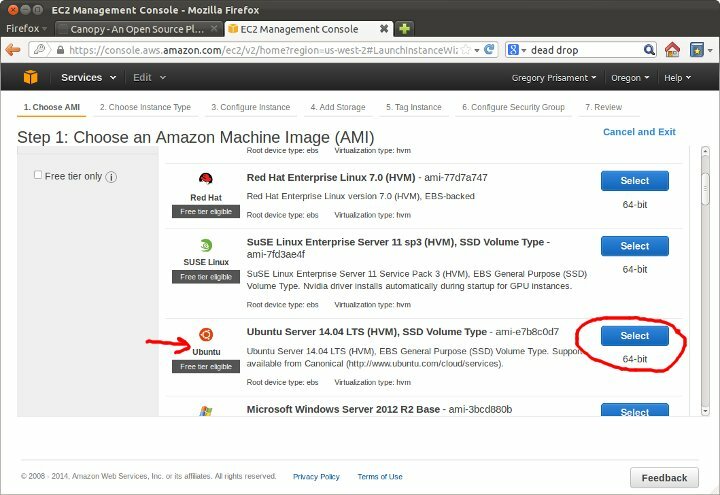 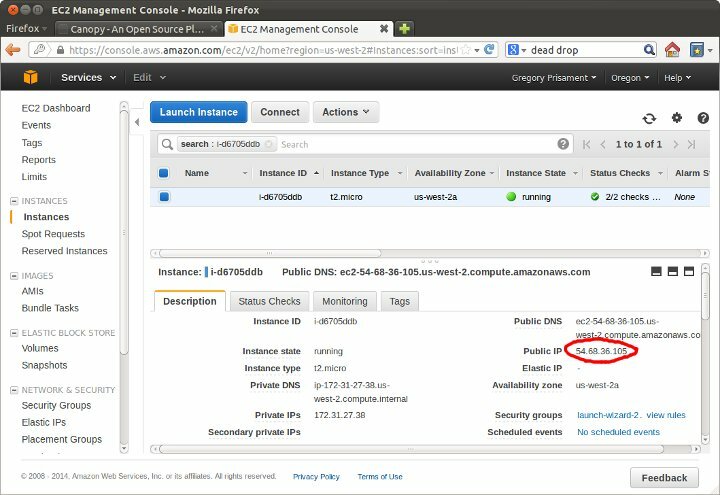 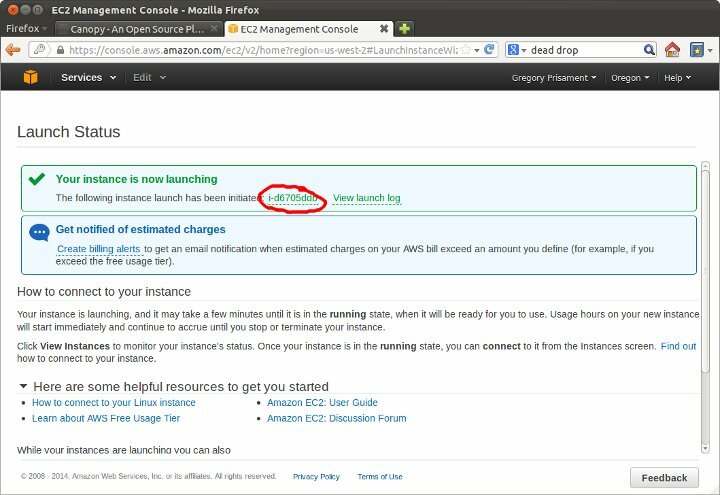 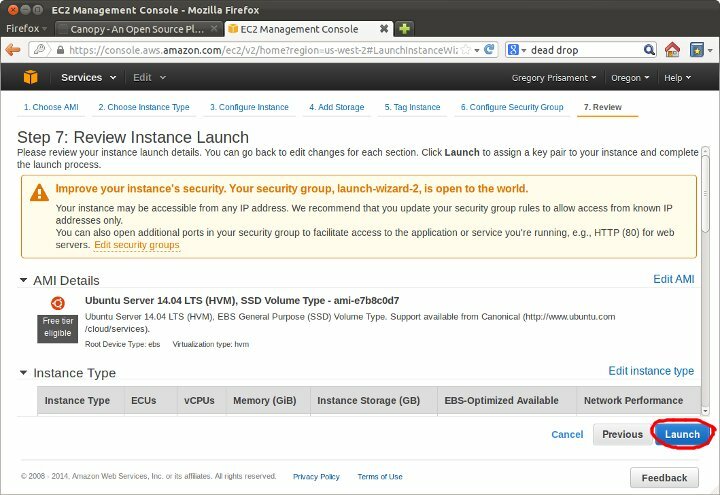 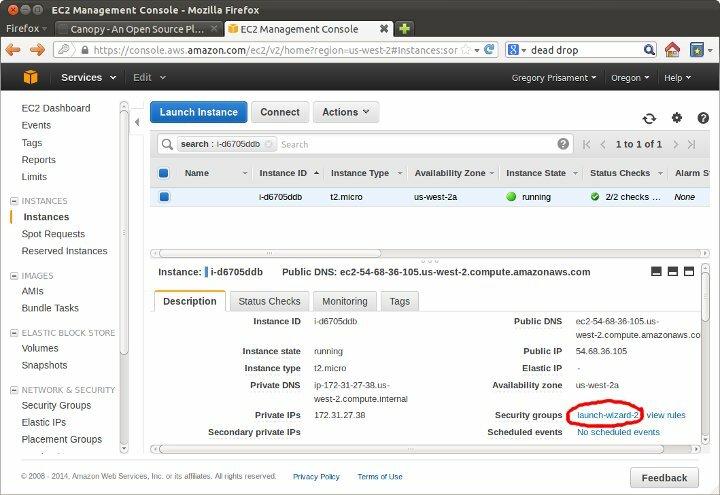 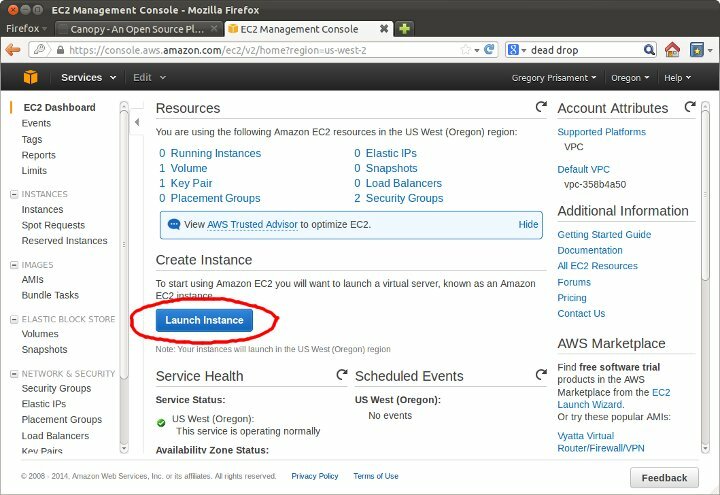 This is a step-by-step guide for launching an EC2 instance that hosts the Canopy Cloud Service. 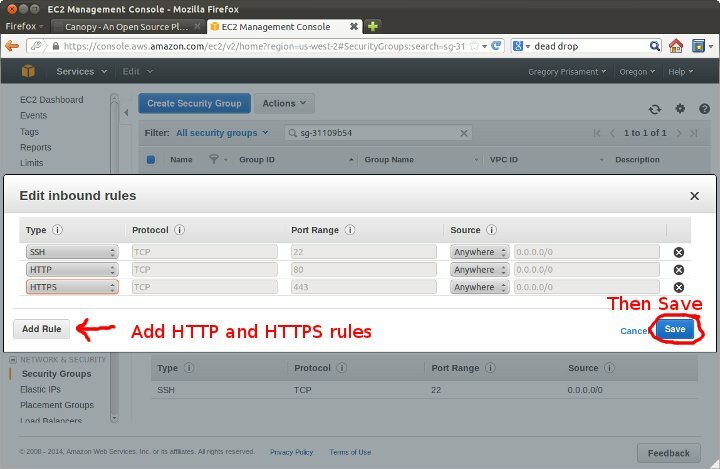 1.9 Add rules for "HTTP" and "HTTPS". 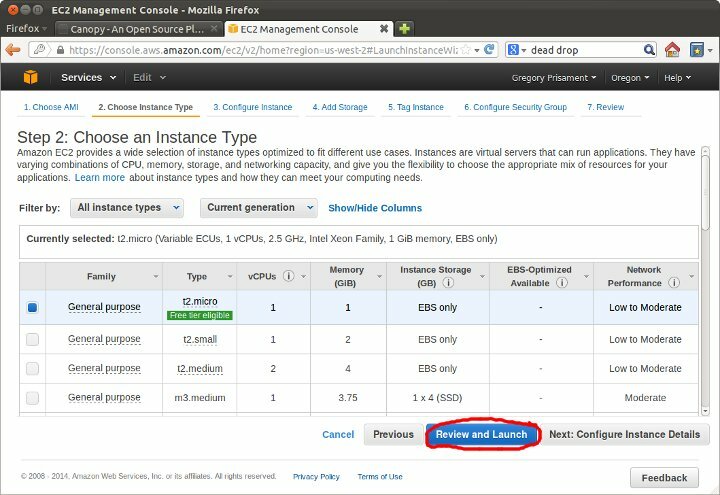 Then click "Save". 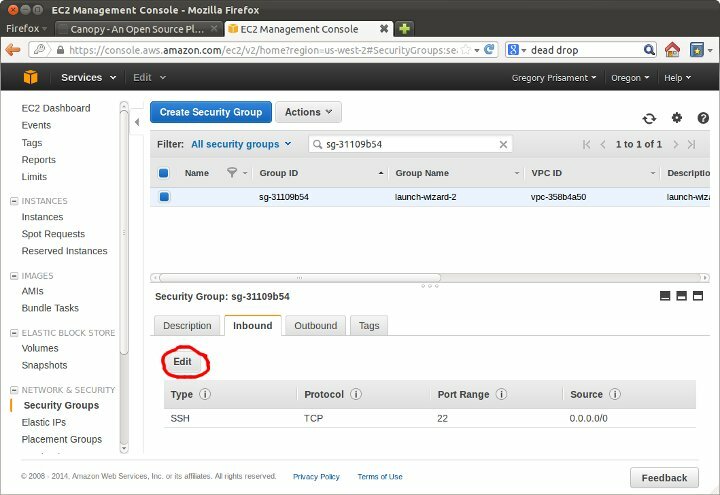 2.1 First, change the permissions of the .pem file. 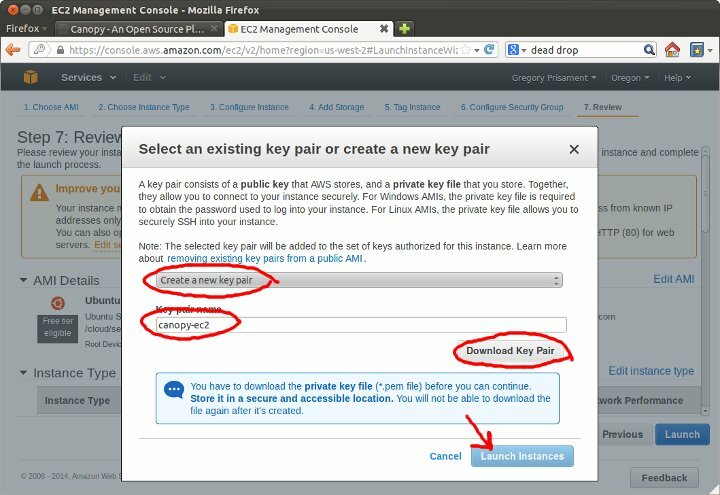 Otherwise, SSH will reject it.